As previously noted on this blog, lapwing populations are declining and sadly this much-loved bird of open landscapes is now red listed. On arable land, research points to poor chick survival as the main driver of decline, with insufficient invertebrate food thought to be a key factor. There are other obstacles to survival of course, including predation and unintentional destruction of eggs and chicks through legitimate farming operations. 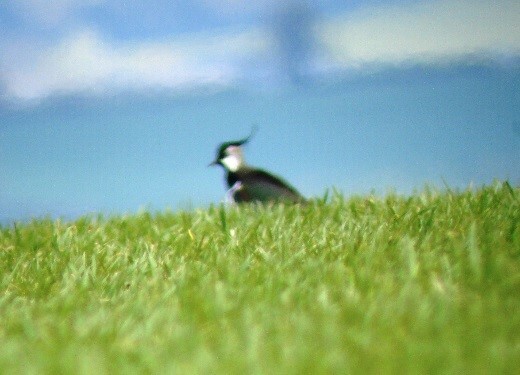 Lapwing monitoring on the South Downs has been ongoing for several years but data on the number of chicks surviving long enough to fledge has been somewhat patchy, and has been gathered mainly from the eastern area of the Downs. 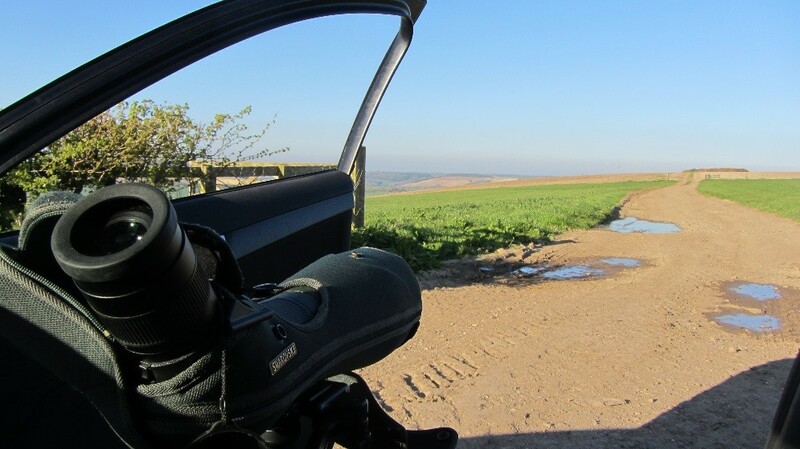 In 2017 staff from the SDFBI partners along with several committed volunteers attempted to measure the productivity rate (number of chicks fledged per pair) on the most important known breeding sites on arable land across the South Downs National Park. The survey sites were mainly along the chalk areas and fall broadly into two distinct areas: the area of Hampshire between Clanfield and Winchester; and the area of West Sussex between the River Arun and Fulking. As well as monitoring the adult lapwings and their chicks, surveyors collected data on other factors which might affect breeding success, such as farming operations, potential predators and the presence or absence of suitable feeding opportunities. This information is very important and can be used to inform future land management that provide optimal conditions for birds to breed. The surveyors found a total of 62 pairs across all the monitored sites, with an overall productivity rate of 0.76. To keep the population stable at current levels the productivity rate needs to be an average of 0.7 chicks per pair, so on the face of it the results look quite promising. However, a closer look at the numbers shows a big difference in fledging success between the eastern and the western areas of the Downs. In the eastern area the productivity rate was 1.75, more than double the minimum needed to sustain the population. In the western area though, only 0.28 was achieved. With such a low productivity rate, lapwings could disappear from this area within a few years. One of the problems the surveyors had at the western end of the Downs was the lack of access to carry out the monitoring, as all surveys were undertaken from public rights of way. Although binoculars and telescopes were used, as the season progressed the heat haze and vegetation cover increased making it extremely difficult to follow what was going on with the chicks. In contrast, 4X4 access was granted at the sites between Arundel and Fulking, which meant monitoring was more successful and areas could be searched more thoroughly. So, it is possible that some chicks were missed, particularly in the Western Downs, and that productivity may have been higher in 2017 than it was possible to confirm through observation from roads and public footpaths. We hope this is the case! This year we will repeat the surveys, and will be contacting some farmers and landowners to ask for permission to access vantage points from which to carry out monitoring so that the surveyors will have a much better chance of following the progress of the chicks. We really need to find out whether they survive through to fledging. Where appropriate we may also, with the agreement of the landowner, mark up nests which are in danger of destruction through farming operations so that these may be avoided by the machine operator.